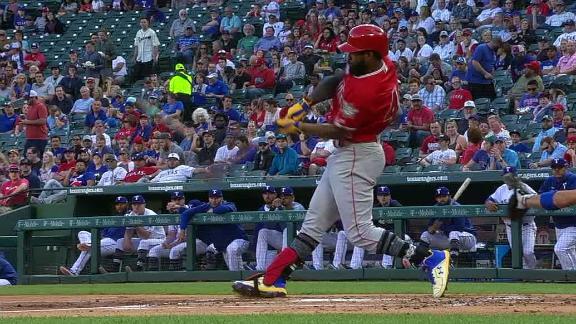 ARLINGTON, Texas -- Joey Gallo clubbed one of his typical long balls to get the Texas Rangers even against the Los Angeles Angels. Calhoun had three hits, capped by his third homer -- a two-run shot in the eighth. Brian Goodwin mashes one to center to give the Angels a 3-0 lead in the 1st.